Is Hydrocodone Addictive? How Addictive is Hydrocodone? Hydrocodone is a powerful opioid narcotic, commonly given to patients for minor injuries or post-surgical pain, but the long-lasting effects of taking this drug can last a lifetime. Hydrocodone is commonly combined with acetaminophen in formulations marketed under names such as Lortab, Norco and Vicodin. Hydrocodone is highly addictive and--as an opiate--is chemically similar to heroin. This means not only that users can quickly become addicted to the drug, but also that the chemical dependency associated with hydrocodone is more intense than with most other drugs. Intense withdrawal symptoms encourage some users to return to the drug, even when it has resulted in catastrophic life consequences. If you're using hydrocodone without a prescription, you have a problem and deserve help. And if you have a prescription for hydrocodone, know that addiction often happens more quickly than you might expect. Though most other countries have substantially reduced access to hydrocodone, the drug continues to be big business in the United States. This accounts for a substantial number of addiction cases. Find Recovery Now If you or someone you love is experiencing these symptoms, it's crucial to get help. Search for treatment today. Lying to medical professionals and loved ones about your use of and reliance on hydrocodone. Organizing your day around your next hydrocodone fix. If you have--or once had--a medical prescription for hydrocodone, you might believe that your addiction is no problem. But about half of addicts began with a medical prescription. Addiction often comes with a hefty dose of denial, so it's important to critically assess how hydrocodone has affected your life. Ask friends and family if it seems like you have a problem. Afraid to ask? Then you may have to deeply evaluate your dependence on hydrocodone since addicts typically conceal their use from the people they love the most. Prescription drug use has a way of sneaking up on you, and very often the difference between using a prescription legitimately and using it in excess can be very subtle. If you notice signs of addiction in yourself or a loved one but are having trouble understanding the extent of your problem, help is available to guide you to the best available care. If you're struggling with your hydrocodone use, understand that you can get better. Call 1-888-993-3112Who Answers? now to speak confidentially with someone who can help you find recovery options near you. You can't force a hydrocodone addict into treatment. Worse still, hydrocodone addiction often induces apathy and depression, causing the addict to continue using to alleviate symptoms--and to not care what anyone thinks about this decision. All you can do is educate yourself about the problem of addiction, then do everything in your power to protect yourself from the painful consequences of your loved one's addiction. By setting clear boundaries, you avoid becoming an enabler. This makes it more difficult for your loved one to continue with his or her addiction, potentially encouraging them to seek treatment. An intervention is a last-ditch effort to get an addict to get sober. The theory behind interventions is that, by making the addiction uncomfortable and unpleasant, it's possible to encourage an addict to seek help. Most interventions are surprise endeavors so that the addict is more likely to listen, but it's critically important to ensure the addict is not high when the intervention begins. Each member of the group shares the way the addict's hydrocodone use has affected his or her life. The person who will be the most convincing--typically a child or spouse--usually goes last. Each member of the group shares what he or she will do if the addict does not seek help. This helps loved ones set boundaries, and also indicates to the addict that his or her loved ones will no longer enable the addiction. Each group member encourages the addict to seek treatment. If the addict agrees to treatment, he or she will begin such treatment shortly after the intervention. Hydrocodone users are often detached and withdrawn, leaving loved ones with the impression that they don't care. Your loved one is still in there, but his or her usual personality is masked by the addiction. Though you can't force your loved one to get better, you can do plenty to help yourself cope with the addiction. Some people find that therapy helps, while others embrace the chance to learn about and better understand addiction. Nar-Anon, a family support program built around the 12-step recovery model, offers fellowship, support, and a chance to discuss addiction with people who are facing similar obstacles to your own. Many people find that simply knowing they're not alone takes them a long way toward recovering from a loved one's addiction. If you're addicted to hydrocodone, you'll need treatment for both the physical and psychological manifestations of your addiction. Rehabilitation is one option. Inpatient Treatment. Inpatient rehab is the gold standard in recovery care because of its unique blend of psychological support, social skills building, and focus on overall wellness. It also removes you from your daily temptations to focus solely on sobriety. Luxury Facilities. If you're concerned you'll find the process of rehab too stressful, you may want to consider a private luxury facility. These facilities offer private accommodations, gourmet meals, and a serene and relaxing setting. Executive Facilities. For those who relish the idea of luxury but also have work to do, consider executive treatment. Executive rehabs blend the comforts of luxury resorts with the option to continue working while you pursue treatment. Outpatient Treatment. 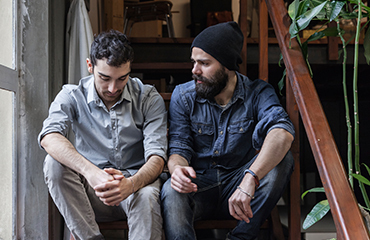 Outpatient treatment can be highly effective if you're willing to commit to lasting sobriety. If you need intensive assistance or have just left rehab, consider an intensive outpatient or partial hospitalization program. These programs offer services similar to inpatient rehab, but with the chance to go home each night. For less intensive treatment, you may want to consider therapy, medical care, 12-step programs, or some combination of the three. It's not rude to ask questions; instead, doing so means you're being a good advocate for your own recovery. What's your treatment philosophy, and what can I expect during treatment? Can you accommodate my religious, dietary, or lifestyle needs? What experience do you have with Hydrocodone addiction? What can I do to improve my chances of recovery? It's not rude to ask questions; instead, doing so means you're being a good advocate for your own recovery. Once you choose a program, stick with it. Recovery isn't easy, but it most assuredly is possible. Finding answers can be overwhelming, and if this is the case with you, our knowledgeable support specialists are on standby to answer your treatment questions so you can have a reliable conversation that will aid your recovery. Don't let hydrocodone addiction steal any more of your time. Call 1-888-993-3112Who Answers? to find recovery options.